Cabaret artist and musician Amie Brûlée’s latest project will take you back in time. 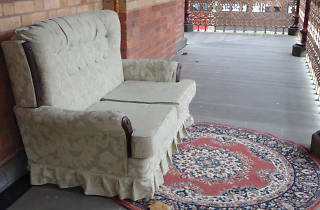 In Search of Lost Evenings is a sound installation that combines storytelling, music and a couch. Piqued your interest? 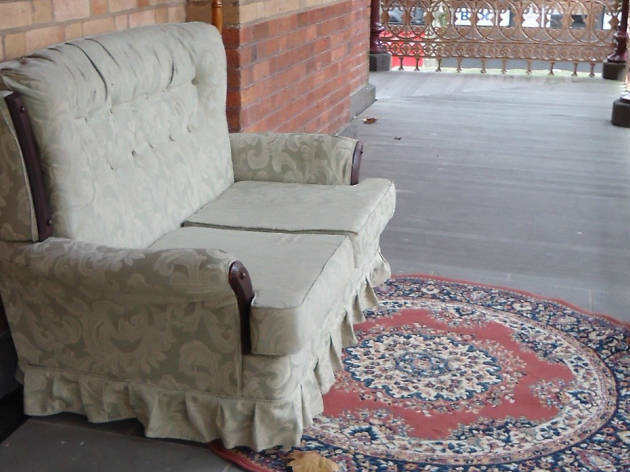 Brûlée has been talking to some of Creswick’s elderly residents, recording their stories and playing them through a speaker hidden in a vintage couch. Each recording comes from a resident at the John Curtin Aged Care facility in Creswick, recounting a tale about what their evenings were like in their 20s. The free sound installation run on a 45-minute loop Monday to Friday and from 9am-noon on Saturdays.